Boring methods are widely used for subsurface investigations to collect samples, in almost all types of soil, for visual inspection or laboratory testing. 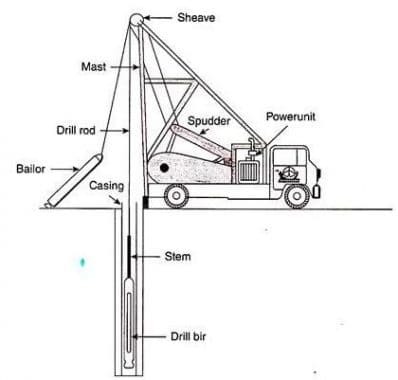 There are several boring techniques like auger boring, rotary drilling, wash boring, percussion drilling, auger drilling, and test pits that are employed to collect disturbed and undisturbed samples of soils. These boring methods are selected based on the soil types, the efficiency of boring technique, types of soil sample (disturbed or undisturbed), and the availability of facility and accuracy by which soil and groundwater variations can be determined. 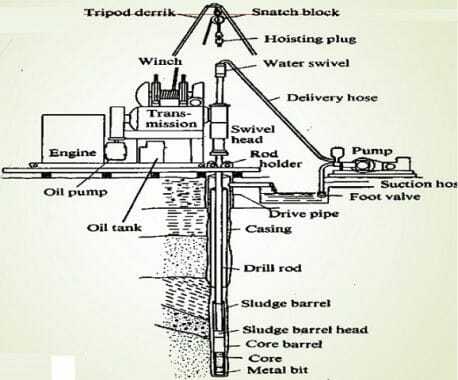 These techniques are used to take soil samples at a certain practical depth, for example, auger boring collects undisturbed soil sample at a depth of 35m, whereas, the sampling depths for percussion drilling, wash boring, and rotary drilling are around 70m. It is a simple and cost-effective boring technique which can be used for almost all types of soil apart from gravelly soil and rocks. 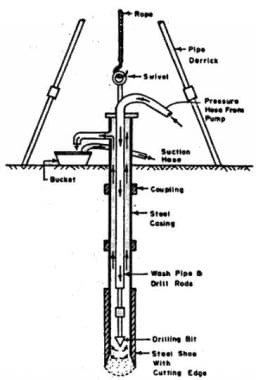 This technique encounters difficulty in gravelly soil and special drilling bits are needed for rocks. Auger boring is used to collect disturbed soil specimen. It collects the soil sample from a maximum practical depth of nearly 35m based on the available time and equipment type. Rotary drilling method of boring is suitable for all types of soil including rocks. It is used to take disturbed as well as undisturbed soil sample. So, it is specifically applicable for stiff soil layers. The practical depth of sampling is around 70m and greater depth based on the type of utilized equipment. Generally, thin-walled tube samplers and various piston samplers are used to collect undisturbed soil specimen. The diameter of the undisturbed soil sample is around 100mm and ranges from 150mm to 200mm for rocks. Wash boring method is used to collect disturbed and undisturbed samples in almost all types of soils except rocks. In this technique, portable, cheap, and limited equipment is used which is an advantage of wash boring. Similar to rotary drilling, thin-walled tube samplers and piston samplers are used to recover undisturbed soil samples with minimum 50mm diameter and maximum 100mm diameter. It is used for all types of soils and rocks including stiff soils and rocks. Percussion drilling is used to take disturbed and undisturbed specimen but the quality of undisturbed samples is not that good because of the heavy blows of the chisel. Similar to rotary drilling and wash boring, the soil specimen can be taken from a depth of 70m and more based on the utilized equipment. The diameter of disturbed soil samples is about 100mm and greater, and obtaining smaller diameter samples would be uneconomical. 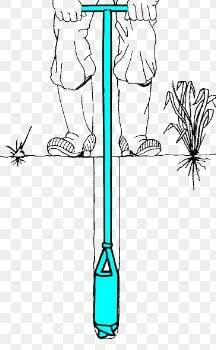 This type of soil sample collection technique is used for all kind of soils. It is used to take out disturbed and undisturbed soil samples from the earth with a maximum practical depth of 6m using power equipment. Samples are subsequently hand trimmed.